JONESBORO - Mrs. Connie Baker Holmes departed this life on Sunday, December 25, 2016 at the family residence at the age of 61. 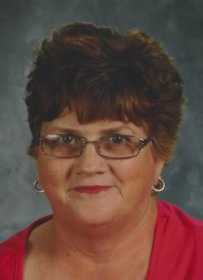 Mrs. Holmes was born August 2, 1955 in Trumann and lived most of her lifetime in the Jonesboro and Trumann area. She worked for the Trumann School District as the cafeteria manager for 28 1/2 years and was a member Central Community Church. She was preceded in death by her parents, James Floyd and Edna Marie Qualls Baker. She is survived by her husband of 41 years, Tommy Holmes of the home; two sons, Chris Holmes and wife Heather of Harrisburg and Dan Holmes and wife Sara of Jonesboro; three grandchildren, Ellie, Josie, and Jacob Holmes; one brother, Billy Baker and wife Lamesa of Trumann; two sisters, Glenda Pipkin and husband Jerry of Harrisburg and Judy Wright and husband Jimmy of Harrisburg. Funeral services will be Wednesday morning at 10:00 A.M. at Central Community Church with Rev. Allen Elkins officiating. Burial will follow in Willis Cemetery under the direction of Thompson Funeral Home of Trumann. Pallbearers will be Josh Holmes, Jim Baker, Kevin Wright, Nathan Wright, Gary Holmes, and Jody Guthrie. Honorary pallbearers will be Bryan Huddle, Austin Huddle, and Tim Austin. Visitation will be Tuesday evening from 5:00 to 7:00 P.M. at Central Community Church, 15775 Hwy 163, Central Community near Harrisburg. The family requests memorials be made to Central Community Church 15775 Hwy 163 Harrisburg, AR 72432. An online register book can be signed at www.thompsonfuneralhome.net.